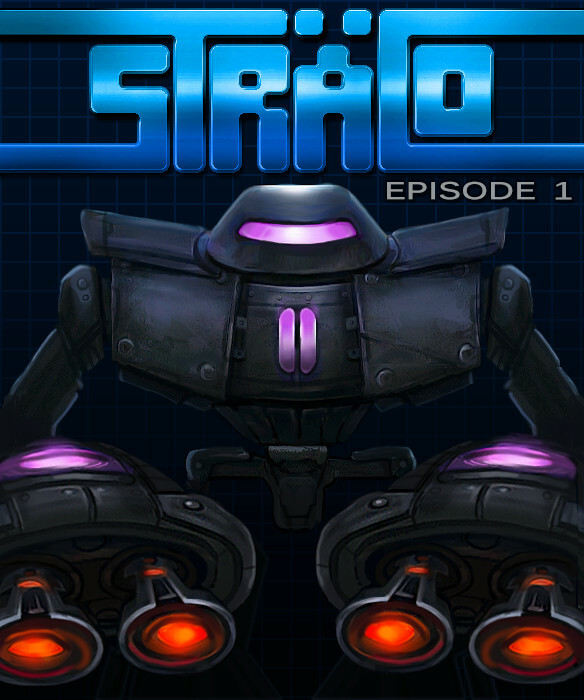 STRACO is a top down 2D shooter with tower defense elements, ability progression, and a mission based single player campaign. In the campaign you will fight in vehicles and on foot, with support towers and alone, in large outside areas and inside the cramped corridors of buildings. Each mission presents new and challenging obstacles to overcome! STRACO is up on Steam Greenlight! State of the game: STRACO for Windows is 100% done. I will be creating a itch.io store page for STRACO sometime this week. Additionally, I've started the Greenlight campaign since it will take much longer than a week to complete that process. In fact, I've probably started the Greenlight process much too late. Oh well! Hopefully they won't close down Greenlight before I get thru. Either way the game will be available on itch.io and all copies purchased there will be provided Steam keys if we are accepted onto that system. So if the windows version is 100% done, what is left? Well, the Mac and Linux versions are the next major thing I need to work on. I've upgraded the version of Monogame that I'm using to the latest available, and that is going to help that process out tremendously. Even so, I estimate a month till that process is complete. After Mac and Linux I will be working on the In Game Editor. This tool is 100% complete, however, it is not documented at all and written for me by me. The Editor really needs to be more user friendly and some documentation needs to be created for it. PS. There's a new Demo available! This is the official demo for the game! There are bug fixes but no content changes from the prior version. Now with Global High Scores and easy control rebinding! Please report any and all bugs! Play all the way to the end for a special reward! Happy Thanksgiving! Special turkey leg launcher available during the whole month of November. Let them eat TURKEY! This reminds me an old DOS game called "Tank Arena". Do you know that game? I've never heard of that game before. Looks like a split screen multiplayer game from the 90's? I'll have to check it out! Looks interesting! When I started out, STRACO was a MOBA style game, and it still has 4 player split screen in it's code somewhere. Maybe re-enable that part some day. Thanks for checking my game out! Sounds great, multiplayer arena is always a fun idea. "Tank Arena" is one of my favorite old school games from the DOS era. There are lots of different vehicles: Tanks, light speeders, choppers, planes, cars etc. All of them can be controlled by AI or players. And yes it has splitscreen multiplayer for two players. Do check it out it is genuinely an awesome game. Best of luck with your project, cheers! Hey there NVO I only wanting to say that I enjoy both games of STRACO on xbox but I did note that you're games were highly underrated on the all around, I hope soon or sometime in the future that people will finally start taking a look at STRACO. Also If you were to release those games onto the pc gaming community I bet more people would be more interested in it, good luck to you in the future and I hope more people would take a interest in this series. I totally agree - STRACO is hugely underrated! Really excited about the PC version - seems like there's way more cool stuff you could do with this game on PC. Hi NightFuel! Sorry I didn't see your comment earlier, I have been busy fixing a bug on the Xbox version of STRACO and forgot to check this page. I'm so glad that you liked the Xbox version and I am planning on porting the game over to the PC, however the bug on the Xbox had to take precedence. Good news is that the bug has been fixed and an update is already in the peer review queue so I can get back to working on the PC version! I've been meaning to write up a news article about the differences between the Xbox and the PC version. Basically, the PC version will have just one game with all 3 episodes in it, and it will have an editor so that you can import your own graphics and create new missions, campaigns and mini-games. I'll be releasing a playable beta test here. No specific timeframe yet, but hopefully in about a month? I'd be honored if you would be willing to test it out and give feedback! Thanks again for playing my game! I'm so happy you liked it! RT @AdamSpragg: Attention! HIDDEN IN PLAIN SIGHT is now on the Xbox One in the Creators Collection section. If you liked the game, please pass this along! STRACO has been Greenlit! Yay! Now I need to do Steam integration. Hopefully it won't take too long.